Create digital edition of product catalog for iPad, iPhone and Mobile phone. Many businesses always have their product catalogs, for promotion and more orders. Product catalog record the product’s information and elegant photos, like telling people the story of product. People would like to purchase your product after reading the product catalog. However, they need to open the product webpage on their computer. The more operation step, the less customers. So, we need to find a new way to display our product content. You just need to make the digital edition of product catalog. Digital Product Catalog is online digital ebook for reading everywhere, which is integrated with E-commerce engine. With using PUB HTML5 software, you can easily create digital online product catalog for all devices, such as iPad, iPhone and Android. This kind of book has direct purchase link for inspiring people to purchase. Compare with paper, digital edition of product catalog have many benefits, such as reduce the cost of print, environment protection, easily access. Some people have no idea about coding, so they do not know how to make digital product catalog. PUB HTML5 is Product Catalog Maker for creating digital catalog, simply and quickly. You just need to do some clicks: import, design and publish. Tired to make different format product catalogs for desktop, tablet, mobile phone? 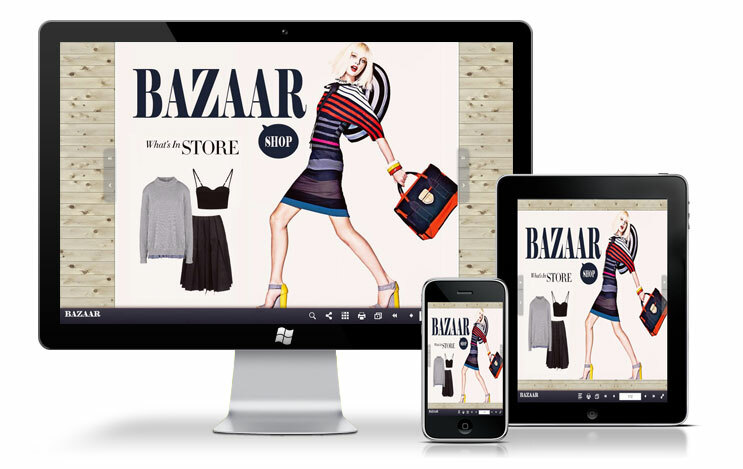 With using PUB HTML5, you can easily create and publish digital product catalog for all devices. Once published, you can get a book URL which can be open to view catalog on all devices. Online Digital Product Catalog is very helpful for those people who want to build online business. Because PUB HTML5 provides you with animation editor feature. You can use this feature to embed hot-spot, clickable button and dynamic images/text into catalog pages. 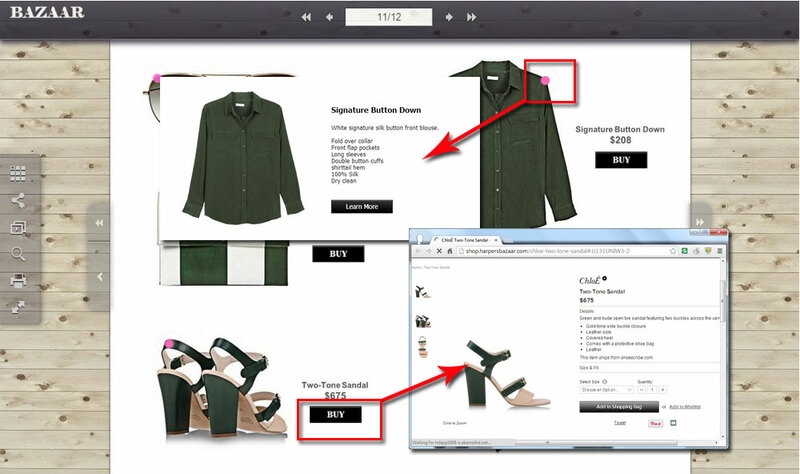 Once done, readers can directly link to product webpage while reading digital product catalog.